It’s February, and that means the season for romance is finally upon us. 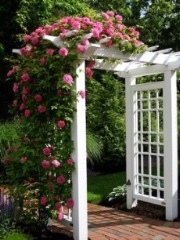 While a bouquet of roses might easily impress, when it comes to landscaping, in my opinion, there’s nothing more romantic than a trellis. 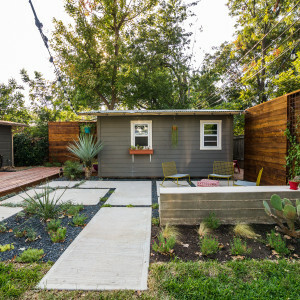 Big and small, wood and wiring, here’s my list (in no particular order) for the top ten trellis designs that are sure to make you giddy. U P C Y C L E D: Technically, as long as a plant can crawl up it, you’ve got yourself a trellis. Try using old chairs, mattress spring boards, lawn equipment or even bicycle wheels to create your new funky trellis. 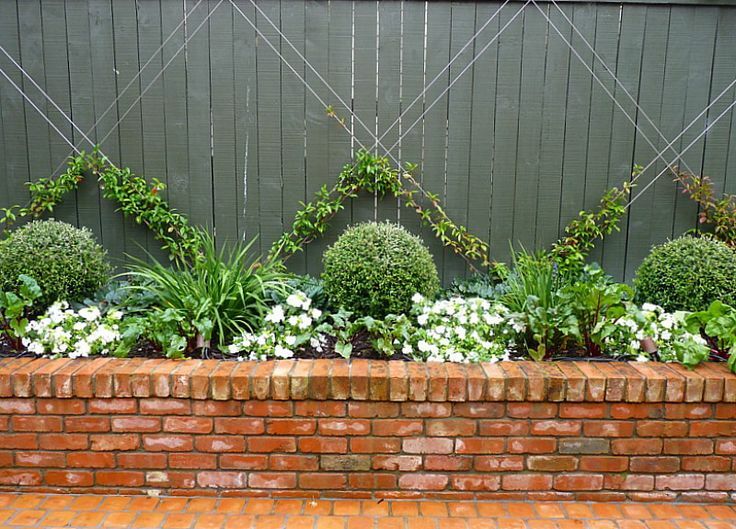 If you aren’t as into the shabby-chic look, a fresh coat of paint can do wonders and really make your trellis pop! 2. W I R E: A wire trellis can be as simple as a single line connected at two points, to as complicated as an interwoven pattern spanning across a 30 ft wall. 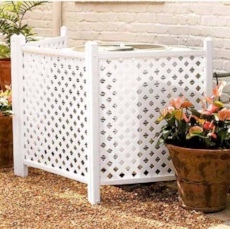 This type of trellis has an exceptionally clean look with a ton of versatility that anyone could enjoy. 3. N E T: What a net provides that wire doesn’t is ease of use. Not only is a net much cheaper than wire I looks more relaxed and will move in the wind. 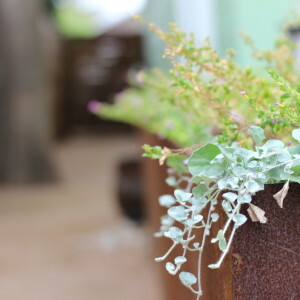 Hang it off the side of your house at an angle to create a shade covered patio. 4. N A T U R A L: If you’re the kind of person who likes the natural look go for a trellis that reflects what plants climb up in nature, trees. Reclaimed wood and old branches make perfect materials. 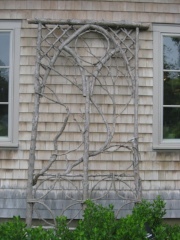 Get a Trellis shaped like a tree or integrate a tree branch look into a larger design like the one pictured here. 5. 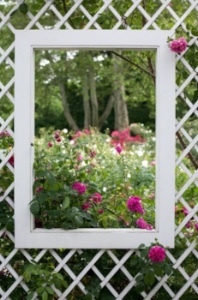 A R B O R: Probably, the most romantic trellis on this list. The trellis arbor is especially popular at weddings and in country gardens. They can be shaped any way you want and made with anything you want, but using a climbing plant that flowers is always a winner. Roses are the obvious choice, but Carolina Jessamine, honeysuckles, and grapes are other local favorites. 6. A-F R A M E: The A-Frame is another very traditional form of trellis. It’s free standing and allows for double the climbing room without taking up a significant amount more space. 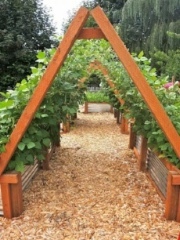 Connect two planter beds with a single trellis to create an A-frame arbor walkway like the one pictured here. 7. O B E L I S K: Looking for another free standing design besides the A-frame that you can place in your garden? Then maybe the obelisk is the right choice for you! 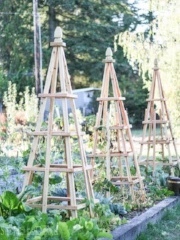 Often paired together, and generally smaller than other trellises obelisks can be both practical and polished. 8. P A R T I A L: Sometimes an entire trellis filled with plants can be too overwhelming, but that doesn’t mean you want to leave it out completely. 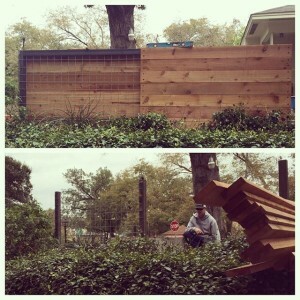 We integrated a trellis with this reclaimed wood wall for a local client and think it turned out to be a great success! Check out more pics from this project here: Native Edge Design. 9. 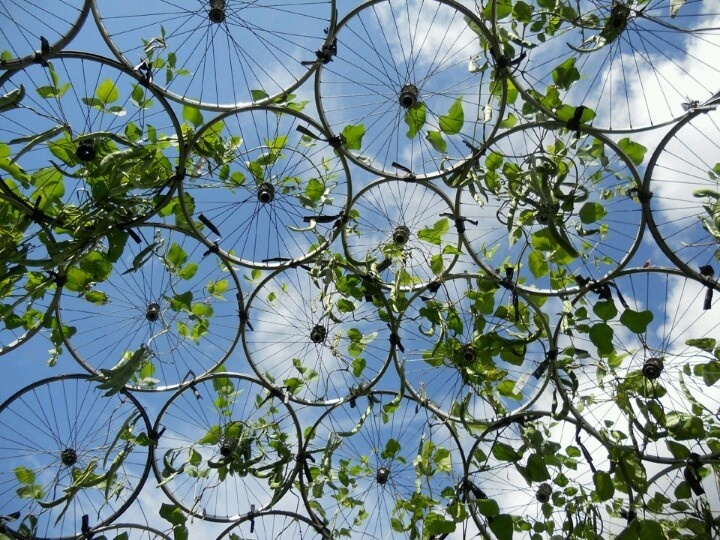 P R I V A C Y: Not really a design, but a great use for a trellis nonetheless. 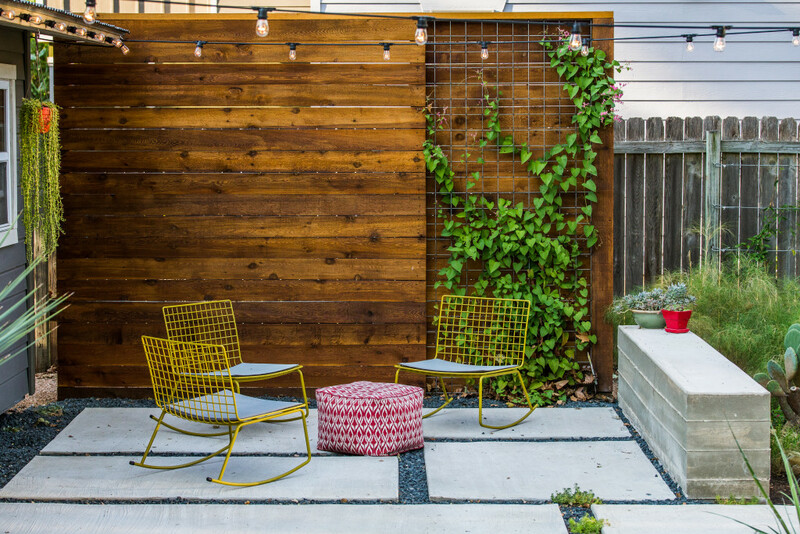 A privacy trellis is an easy way to cover up some of those unattractive necessities you find in most yards. Place one in front of your AC unit, pool equipment, or garbage/recycling bins and soon all the neighbors will be following suit. 10. W I N D O W: Last but not least, when you are considering installing a trellis it’s important to think about what you want your view to be. Trellises are beautiful, but if the rest of the yard is beautiful too, you don’t want it to get cut off. 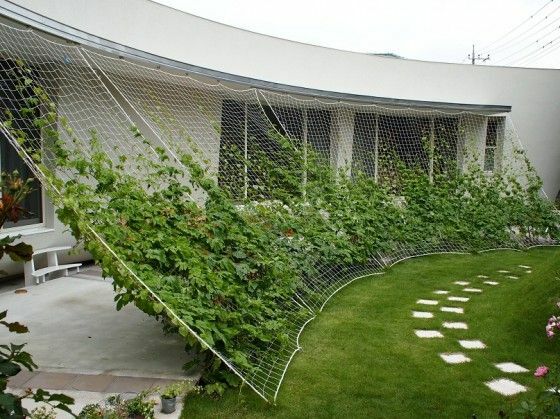 That’s why If you are planning on building a large trellis consider cutting out some holes for a window. Set a bench in front and enjoy the privacy and view you both enjoy.